At night time, this bath morphs into an open-air badi-bar. Zurich, Switzerland (photo: Zürich Tourism). 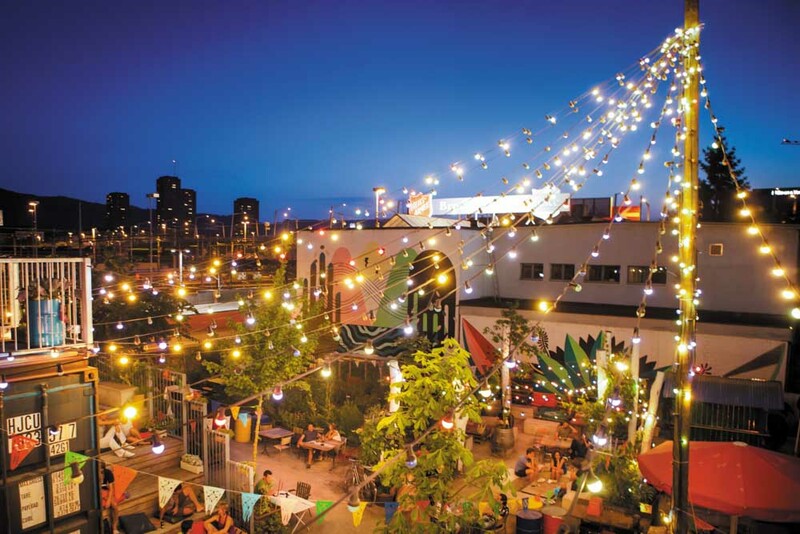 Frau Gerolds Garten is Zürich’s summer beer-and-kitchen garden with shops, art and events (photo: Zürich Tourism). 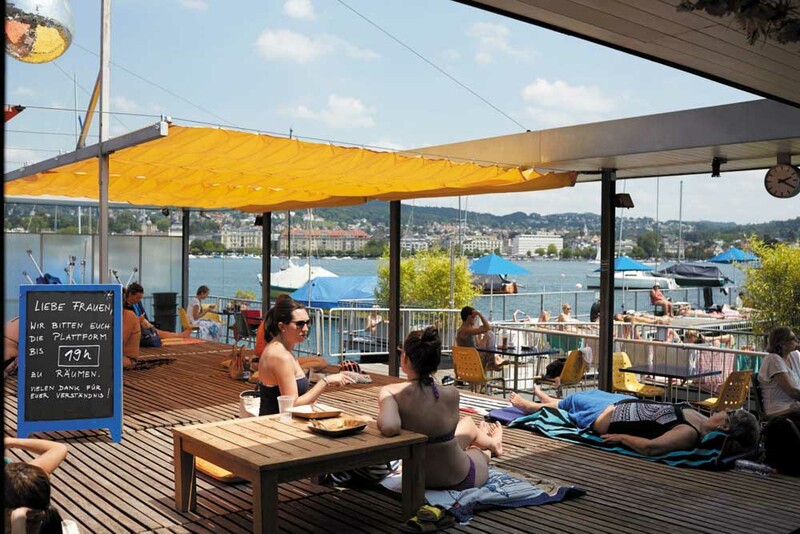 Basking in the sun at Seebad Enge (photo: Zürich Tourism). 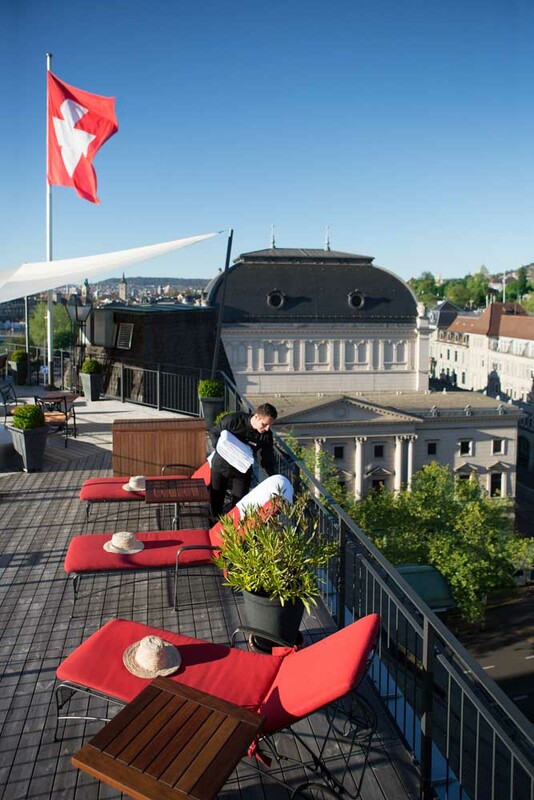 Stunning views of Zürich from the roof terrace of Hotel Ambassador à l’Opéra. Switzerland’s largest city and financial hub is exchanging its conservative attitudes for pride in its diversity and an increasingly dynamic social scene. Elspeth Callender gives you all you need to know in our essential Zurich city guide. Swiss banks, art galleries and lakeside chic. In a small urban park, Kleine Freiheit serves Middle Eastern-style food from a converted shipping container to people sprawled on deckchairs, benches and sofas under colourful umbrellas. Watch the swans float by from Quai 61. The menu has an international flavour, and its ‘hangover breakfast’ complete with Bloody Mary is a popular Sunday brunch option. Kronenhalle, adorned with original works by Picasso and Kandinsky, proudly serves “plain traditional fare” to all comers. Once you have ticked off the atmospheric Old Town and the city’s many excellent museums, take the time to discover Zurich-West, which locals call ‘Little Berlin’. Frau Gerolds Garten has flourished into a summer beer and kitchen garden with shops, art and events. See Freitag’s shipping container tower, and the nearby café-bar-restaurant-deli-grocer Les Halles. There are independent stores within Im Viadukt’s repurposed arches and Schiffbau, where boats were once built, is now a theatre, club, restaurant and bar space. After dark many of Zurich’s glorious old swimming baths morph into open-air badi-bars. Local favourites include Seebad Enge, Rimini and Barfussbar. 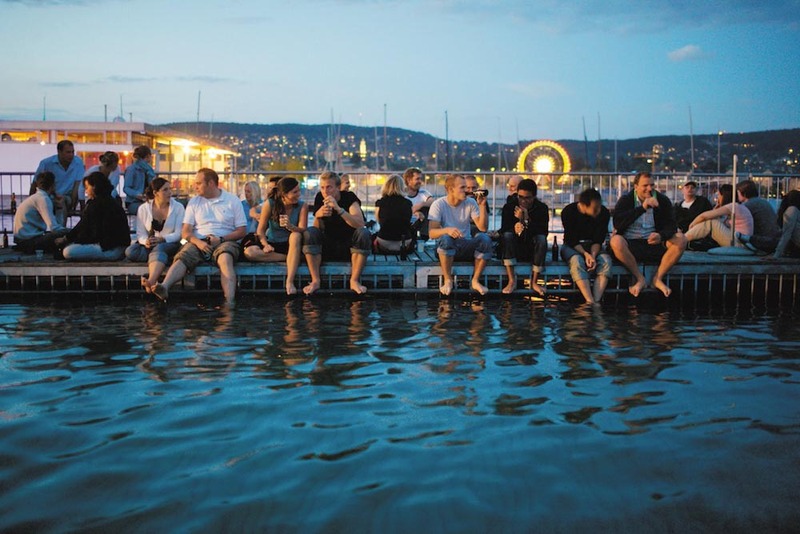 Read more on Zurich’s secret bars here. Bahnhofstrasse is lined with mainstream stores while locally owned boutiques can be found closer to the river. For consumables, there’s Chäslaube for cheese and Sprüngli for chocolate and macarons. Department stores Jelmoli and Globus, both have sumptuous food halls. When you arrive in town, get your bearings over a summery spread or winter fondue picnic on the roof terrace of Hotel Ambassador à l’Opéra. From atop this charming neo-Baroque building behind the Opera House you get elevated views in all directions. Red-boothed Schwarzenbach often flings open the window next to its coffee roaster so the aromas waft out into the Old Town alleyways. If it’s packed, cross the road to multi-storey Schober for hot chocolate and marble cake. The cheapish and cheerful 25hours Hotel Zurich West has complimentary wi-fi, as well as bike hire and sauna use. Ambassador à l’Opéra is a boutique hotel on the edge of the Old Town, close to trains and to Lake Zurich. The recently renovated Atlantis by Giardino is a 95-room urban retreat promising “cosmopolitan nonchalance” mixed with “Mediterranean-style hospitality”. So do we, William! Quiet, cool and peaceful. Might be worth mentioning that Swiss travel isn’t the cheapest in the world. When I think “hip” I don’t think excessive $$$. The title I clicked on gave me the impression the article was directed at young-somethings, not wealthy professionals. Worst city on our entire European trip. Simply could not believe how expensive it was. Not family friendly in any way. Could not get out of there quick enough. To say Switzerland is expensive is an understatement. Hip? We don’t think so. I was stunned to see this city being revealed when I clicked to find out the the hippest city that Aussies are visiting. There are many words to describe Zurich and “hip” is not one of them. It’s certainly not a fun city for Millennials, or anybody. Try your grandparents’ age, looking for a place to spend all of their savings on doing not much. Skip Switzerland all together.